** 1-Owner ** Clean Carfax ** Bluetooth ** Alloy Wheels.Once it arrived to our dealership we did have our ASE Technicians complete their inspection, where this Frontier passed only needing its Oil Changed, and a full detail.Give us a call or just stop into our dealership Today!Ken Garff Nissan of Salt Lake City is very proud to offer this fantastic 2014 Nissan Frontier. SV 4WDKen Garff Nissan Downtown continues to change in order to serve you better! We have brought together over 100 years of managment experience to provide you with an incredible Sales and Service experience! Car buying should be fun and exciting, and at Ken Garff Nissan Downtown we strive to do just that! 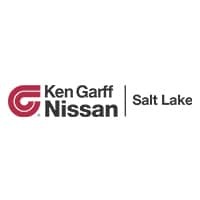 Check us out and see we mean it when we say Ken Garff Nissan Backs U Up!Recent Arrival! 2014 Nissan Frontier SV Odometer is 15302 miles below market average! ** Clean Carfax ** 1-Owner ** Alloy Wheels ** Roof Rack ** Moon Roof ** Premium Sound.Once it arrived to our dealership we did have a Safety Inspection Completed by ASE Technicians, where it Passed, tires and brakes are in good condition, we did have the Oil Changed, and then had it fully Cleaned inside and out. Give us a call or just stop in for your test drive Today!Ken Garff Nissan of Salt Lake City is pumped up to offer this fantastic-looking 2001 Nissan Pathfinder. LE 4WDKen Garff Nissan Downtown continues to change in order to serve you better! We have brought together over 100 years of managment experience to provide you with an incredible Sales and Service experience! Car buying should be fun and exciting, and at Ken Garff Nissan Downtown we strive to do just that! Check us out and see we mean it when we say Ken Garff Nissan Backs U Up!Recent Arrival! 2001 Nissan Pathfinder LE Odometer is 24284 miles below market average!